Any hope that Greece will now negotiate with its creditors should help to hold the euro for now. But keep in mind that Brussels has still not changed its mind or its philosophy. It is going to take more than just Grexit. Eventually, Greece will have to leave. There will be no choice and its government is acting like a total fool to negotiate with someone who looks down upon them and sees them as irrelevant. The Greek banks must open and Greece by decree should transform all deposits into drachma that can exist purely electronically swapped at 2:1. This will allow the people to be paid and function. All external debt should be suspended. What euro notes remain in the banks should be transferred to the Treasury. You should follow the same plan as Roosevelt in the confiscation of gold in 1933 and the devaluation of the dollar. Cut all ties to ANY negotiations with Brussels for more bailouts. Greece must stand on its own or go down with the euro. Brussels is not about to reform in any way to stabilize Europe. They are only interested in preserving their one government for all posture. The euro is NOT irreversible. The danger with such arrogance warns that this is drifting, as Margaret Thatcher warned from an economic union to a political union. The people did not vote in Greece to be subservient to Brussels and the youth really hates the Troika. Greece has imposed new capital control laws. Technically, Greek lawmakers passed the capital control laws to stop people from evacuating all their money to overseas bank accounts and draining cash from the banking system. However, the laws also prevent everyday consumers from making even the smallest credit payments to foreign companies, including Apple, PayPal, and other staples of online life. 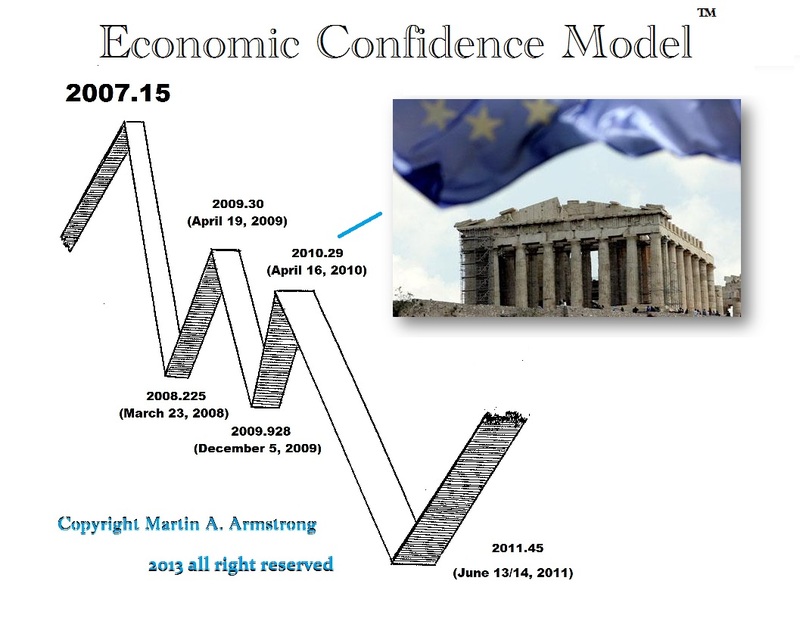 This is why Greece must create a new currency and cut all ties to the euro immediately.